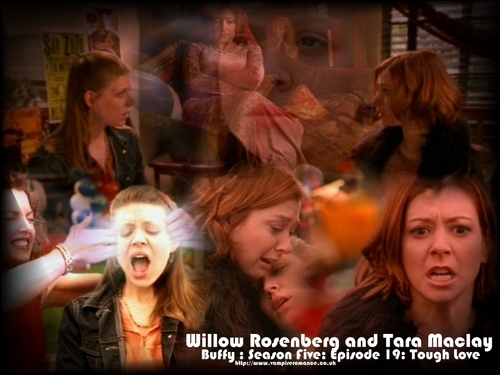 Willow and Tara. . HD Wallpaper and background images in the Buffy ang bampira mamamatay-tao club tagged: willow tara tough love season 5 buffy the vampire slayer image.